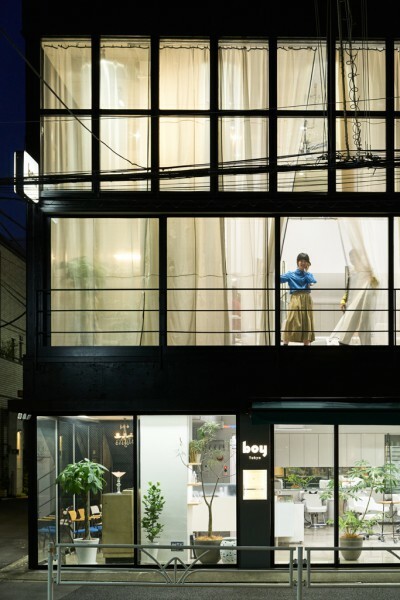 We performed the interior design for “boy Tokyo”, a new shop managed by hair salon “boy”. 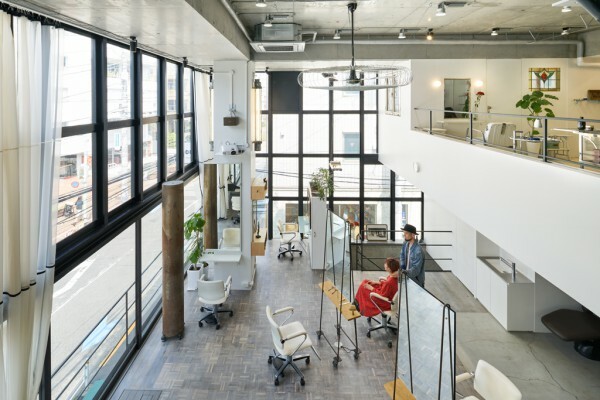 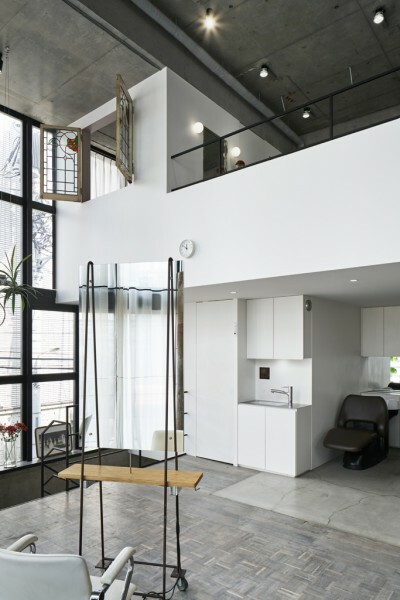 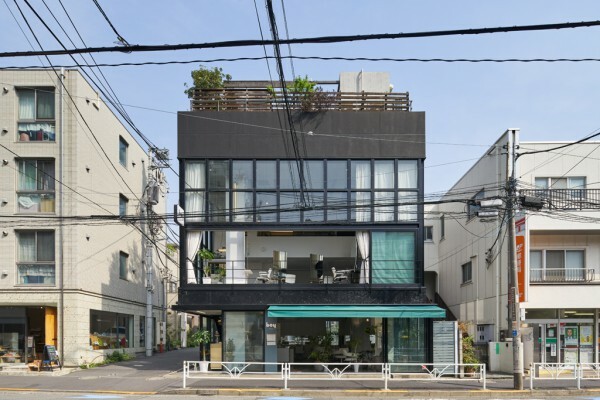 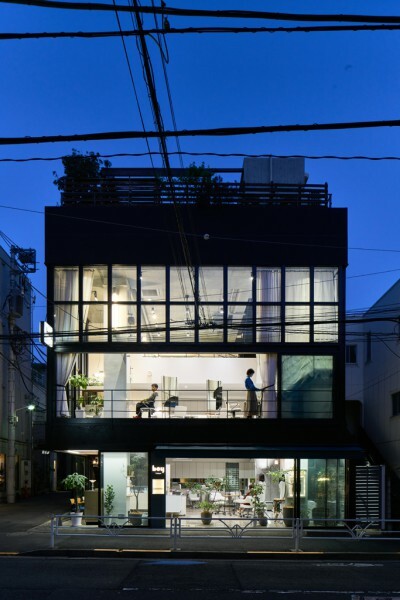 Originally designed as a restaurant in a quiet part of Harajuku, the two-story building with its rooftop and stairwell was remodeled as a hair salon on the first and second floors while the mezzanine floor became a beauty salon. 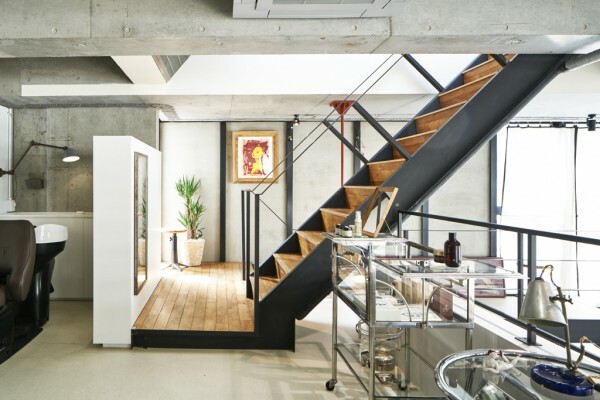 We completely stripped down the often-remodeled inner space to draw out the characteristics of the architecture itself and then brought in boy’s collection, including furniture, lighting and stained glass collected over 35 years since the founding of boy, to create a design connecting those memories. 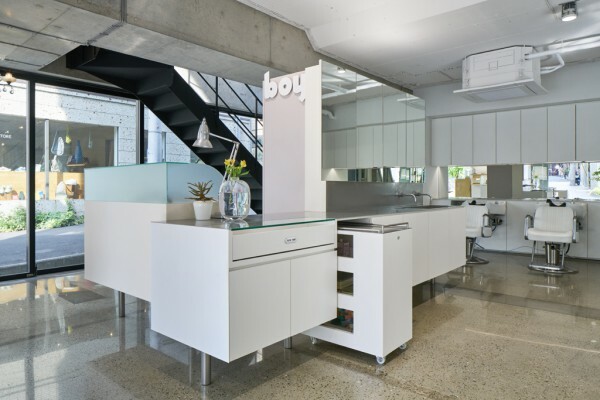 Since fixtures with diverse functions such as a reception counter, cloakroom, and work counter were sought for the first floor, we loosely divided the treatment area and waiting space by integrating those functions into a large piece of furniture. 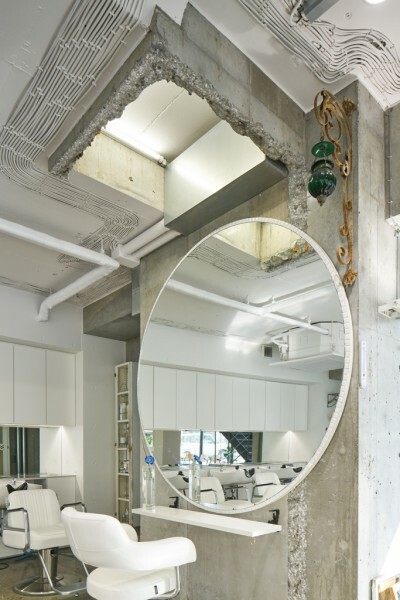 The existing concrete floor was polished and coated with epoxy resin. 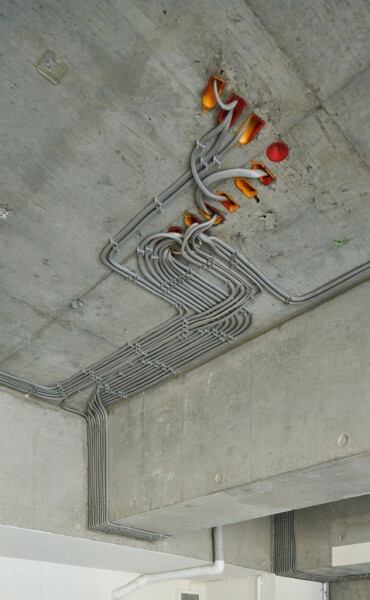 We fit lighting equipment into the inner part of the openings left over from removing dumbwaiters and gave them new life as lighting boxes. 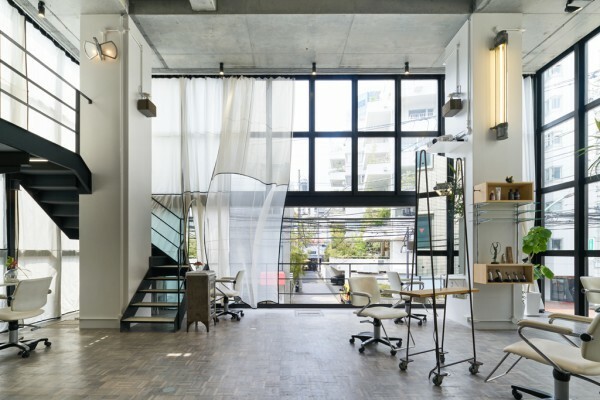 On the second floor, we configured all the fixtures besides those attached to walls and pillars to be moveable to allow the floor to be used for movie showings, lectures, and workshops, etc. 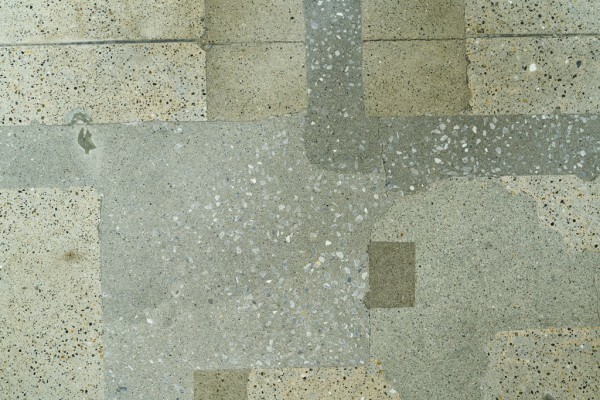 Polish and dye were applied to the finish of the existing patterned tiles of the floor. 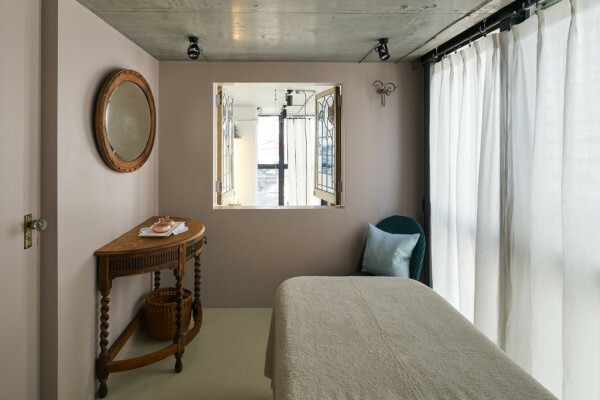 For the mezzanine floor, we used the 5.3m height of the ceiling to expand the space by suspending a structure from the ceiling and creating a private beauty room. 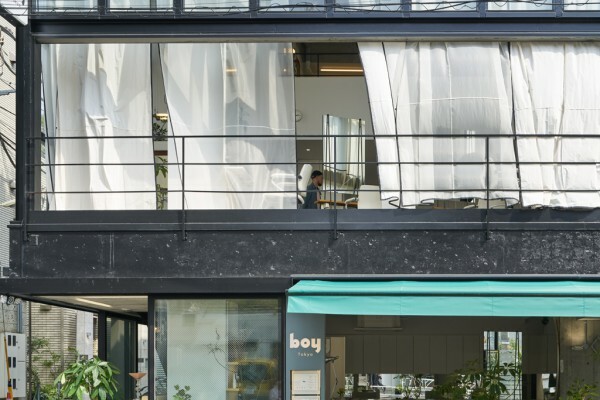 Combined with the existing black sash for the large, two-story high window, we created a curtain bordered by a black ribbon to softly take in natural light. 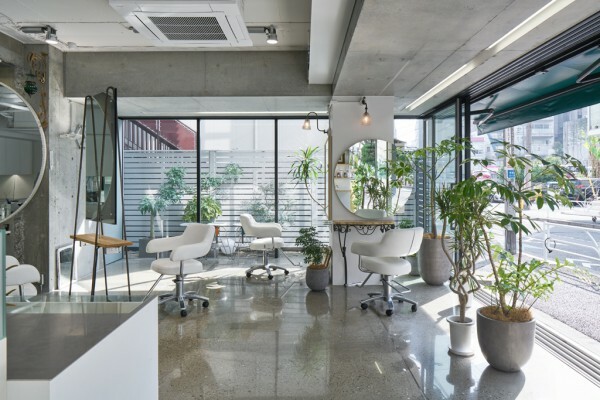 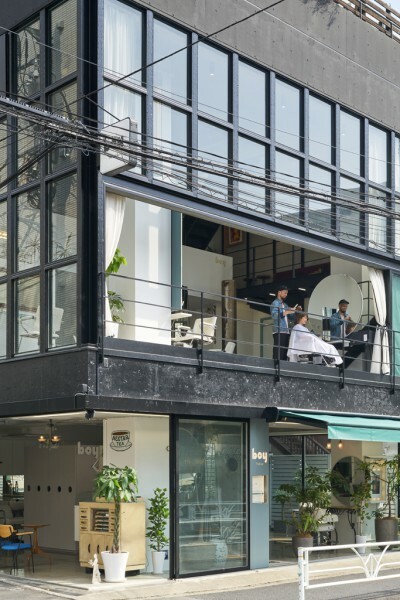 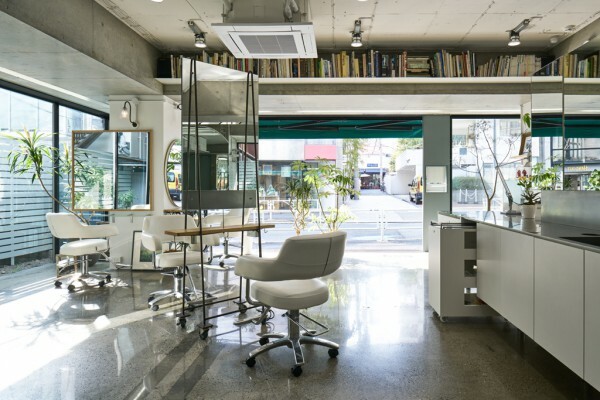 The skeleton of the existing building was carefully retouched while the boy collection adds color to the space that functions as a hair salon. 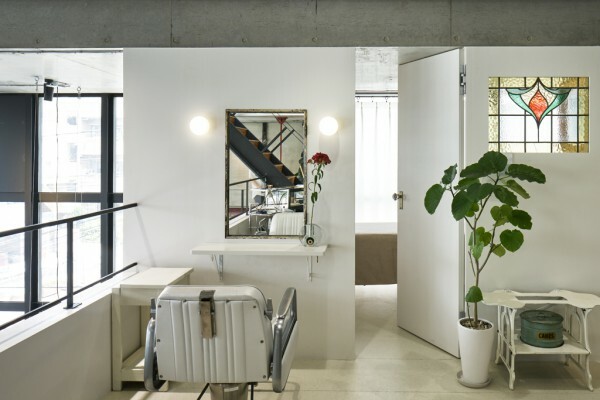 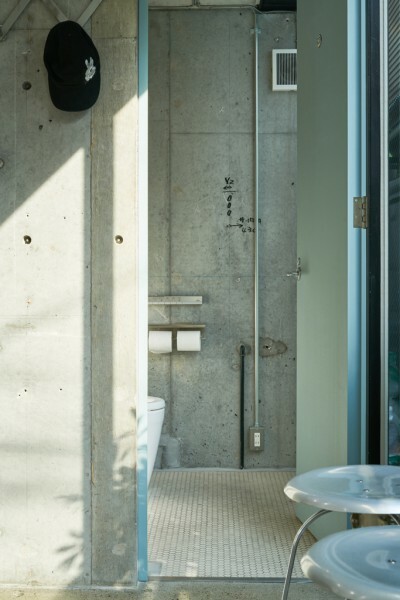 Our aim was to emulate boy’s cutting technique “HAZUSHI”, which means to avoid over-completion and to create a space that gives a sense of creative change.